The big mill in town has closed. Producing farm implements from iron cast on the property as well as providing ground flour from iron millstones, it has employed most of the town’s men, and the bank owned and operated by Croesus Kingdom Trask, a rich but miserly man, forecloses on house after house, whose owners were forced into ruinous mortgages in order to live. Wives and children gather in the town square to see the men off on the canal boat, husbands and fathers who must leave Lyonnesse to seek work in Londinium, the New York City of the day. With no daddies and husbands, there is little chance of Christmas cheer for the families left in Lyonnesse, especially since the bank has reneged on providing the town’s Christmas tree, which until this year was always erected in the town square. Poor families lacking a tree at home could at least go there and enjoy the brightly lit tree, but now, when most everyone is impoverished and lacking trees, there will be none. 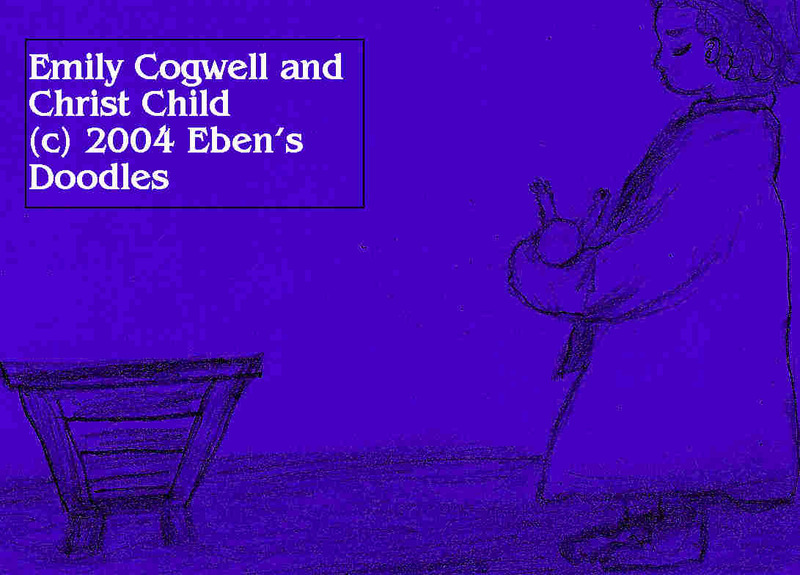 At this particularly cruel moment, little Emily Cogwell goes and gleans flour spilled by the mill, and carries the last of it home in her apron. Families have subsisted on the waste flour for months, until there remained only this last bit that she found. 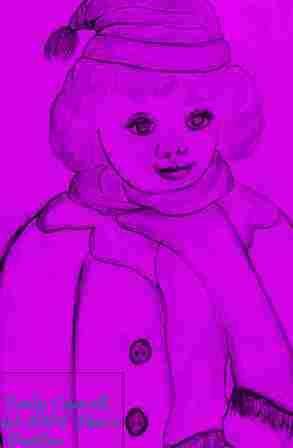 Later, she appears in the town square, to distribute doughnuts that she and her mother have made. The homeless rush to get the tasty doughnuts, and soon they are distributed, thus bringing cheer and nourishment to needy people. Hearing of Emily’s deed, perpetrated so publicly and near his mill and the bank, Banker Trask is outraged and fires her father, Gawain Cogwell, and then forecloses on his house too. The Cogwells, carrying bedding, appear in the town square to join the homeless. They only have doughnuts for themselves, but seeing a family worse off than themselves they think, they give even these away. The scene ends with the family huddling together against the bank’s wall in the cold snow as Emily sings. 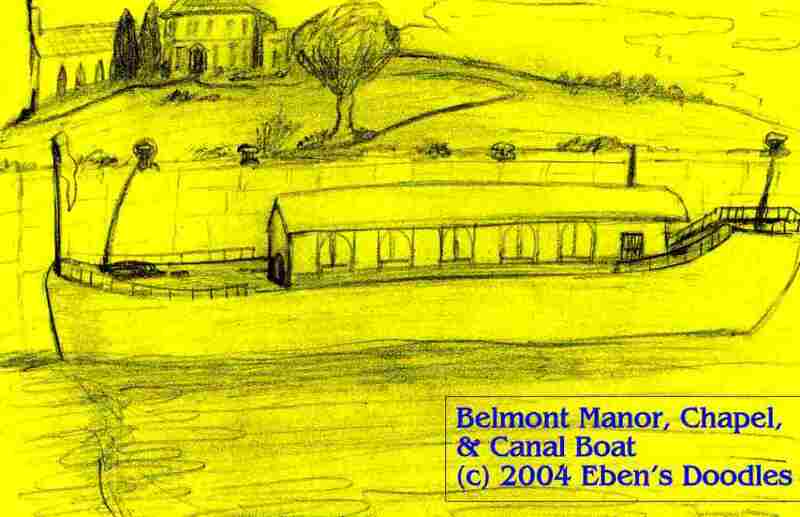 Millionaire Belmont, a recently widowed and still grieving father, was sailing via his private canal boat with his daughter to a rather sad Christmas celebration at Belmont Manor, an estate located fifty miles beyond Lyonnesse. 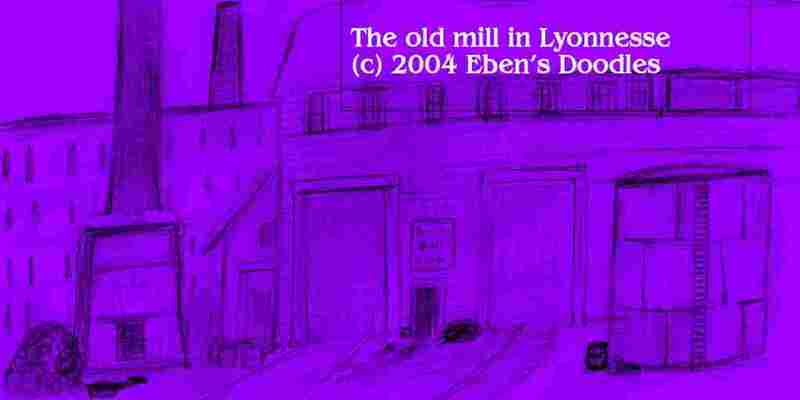 He has already heard of the mill’s closure and the bank that is reducing the town to utter despair. Moved in his heart when he sees young girls homeless in the wintry streets that remind him of his own daughter, he orders his engineer to stop the boat at Lyonnesse. Climbing up to the street, he encounters Emily who tells him her daddy was fired by the bank because she gave some doughnuts to some hungry people, and that her entire family was forced into the street when the bank took their home. So close to Christmas, it is not the time to hear of such misfortunes on top of what he is already anticipating in his own household without his wife's presence at Christmas. Morag Belmont went out in a boat, for she loved the water, and drowned one fine afternoon in the canal, without anyone near enough to hear her cries when her boat upset. All the husband has of his beloved wife now is a picture of her as a newlywed and, of course, their daughter. Unable to go on as if he had not heard Emily, he does what he knows his departed wife would have done if she were in his place and opens up his Christmas-decorated boat to all the homeless, and they crowd onboard, where everything--ham and stuffed goose and egg nog and presents--are distributed to them. On board is a picture of Belmont Manor in summer, and Emily, who loves pictures, asks him how he, with only one daughter, can live in so big a house and not get lost. Amused and charmed by the little maiden's question, he tells her that he will be sure to reserve a room for her, so that he won't be so lonely--but it may have to wait until after Christmas--as he doesn't want to disturb her own family's preparations for the season. Just the same, Mr. Belmont is the happiest he has been since his wife's death a year hence. 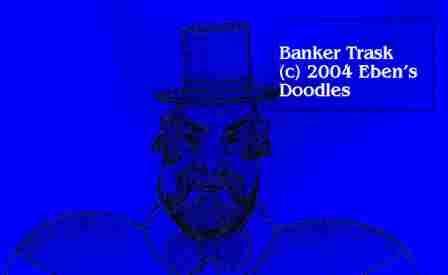 Hearing what is happening on Mr. Belmont's boat, Banker Trask gets the constable and they hurry to put a stop to it. Trask dares not arrest the millionaire, but he has the constable order the canal boat out of town on the charge that it is impeding canal traffic. The banker, however, is foiled when Mr. Belmont declares that he himself is a part owner in the canal company and cannot be put out or ordered about in his own property. Trask screams that he can still shut off the water, which is supplied by the town water system. Mr. Belmont replies, no, he cannot shut off the water, for the agreement was made in perpetuity, lest each town along the canal force the canal company into bankrupty by claiming prior rights to the water supply. The scene ends with the rejoicing of the Lyonnessians, who at last see that Trask is not all-powerful, and that injustice does not always prevail in the world. Scene 1 The Belmonts go ashore, to view the town's preparations for Christmas. Belmont’s daughter, Miss Belinda, enters the town square, very sad in countenance. Her father is surprised, expecting a much different expression after the recent turn of events but thinks she may be missing her mother and is overcome by grief. Instead, she surprises him again, asking her father why he can’t buy the mill and put the men back to work, so that the people can return to their houses and celebrate Christmas indoors. Relieved it was not something he could not ever fix, Belmont needs no urging, for his daughter's happiness means more to him than the world. 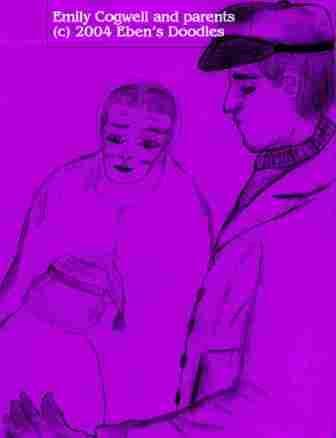 He confronts the banker, who is reluctant to sell the mill, but does so because he craves money above everything else. But Belmont does not stop there, he asks the price of the bank, and then buys the bank too. Trask's keys are taken away and he is turned out! “Now I have the bank, and unless you own your home free and clear, it too will be taken!” Mr. Belmont informs Trask. Trask scoffs at the thought, and then begins to shiver and shake. He has forgotten something. A small mortgage he had taken out, using it as a smart way to lower his property taxes. “Aha!” Mr. Belmont crows, and the banker is turned out of his own fine home as well. Now, homeless as any, though still rich, he is not offered a place to lay his head. “I’ll get even with you all for this!” Trask cries at the jeering townspeople, who all pelt him with snowballs as he runs off down the street. Everyone by now has heard of the old mill’s sale, and that even the bank has been acquired by the big-hearted millionaire and his beautiful daughter. 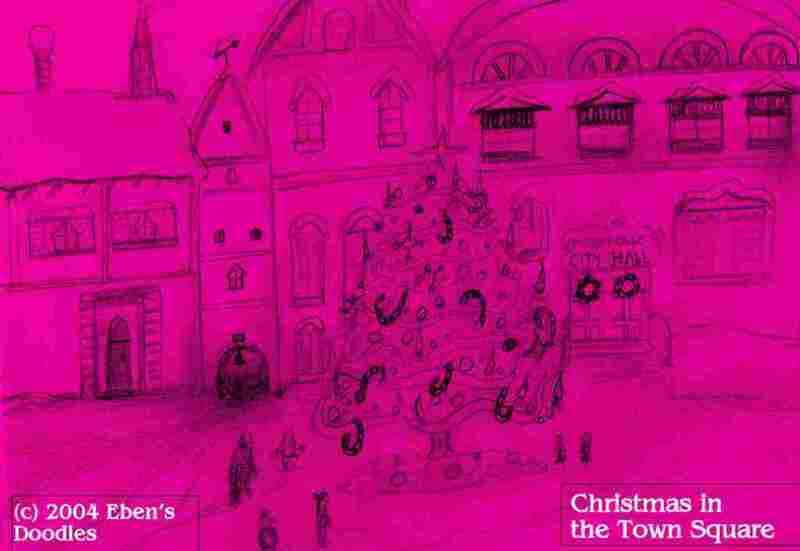 The bank donates a tree to the town square, and with everyone’s help it is soon decorated with giant, wooden, hand-painted candy canes and colored balls and lighted with candles--the best display the mill town could manage. 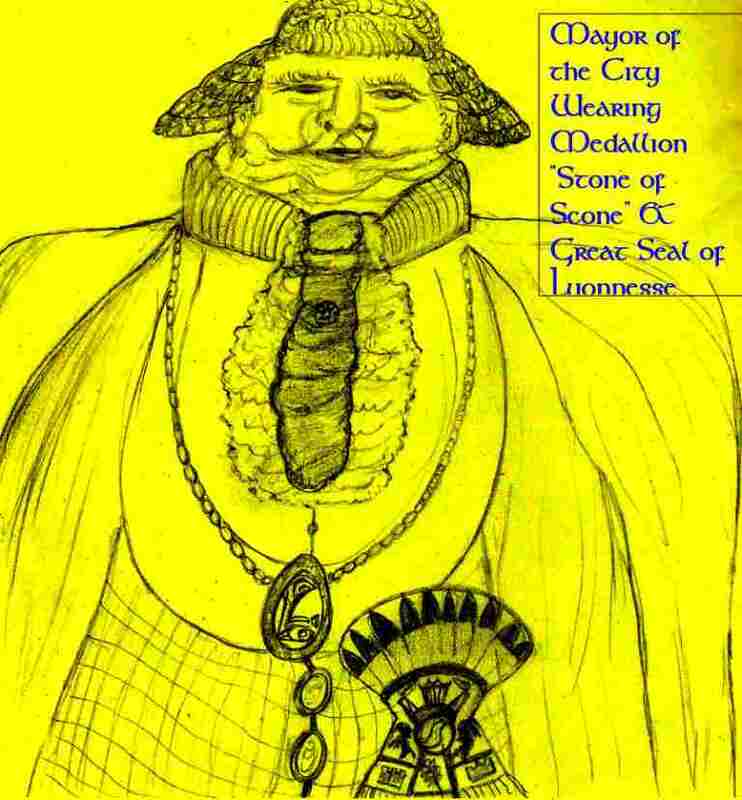 To render the occasion an official festivity, the Mayor makes his appearance in full regalia and reads his proclammation to which he has already affixed the Great Seal of Lyonnesse. After the proclammation is read, the tree is lit by the official candle lighters authorized by the Mayor. They do their job, then the people disperse to their own homes for the celebration of the season, leaving only a few souls behind who cannot get enough of the Tree's glory. Increasingly unaware of the festivities around them, Belinda Belmont and Tristam Cogwell (Emily's eldest brother), attracted to each other from the first, fall in love. Tristam presents his hand to Belinda with Mr. Belmont's approval, because he was impressed by Tristam's good manners and exemplary Christian behavior from the very first moment of their meeting (and Emily's comments of admiration for her brother had no small effect upon Mr. Belmont, to be sure). Tristam is given a fine suit by Belinda's father, which Mr. Belmont comments upon, that it looks much finer on him than it ever looked on its original owner. He adds, letting everyone present know his views, "As my son-in-law wedded to my daughter, you will inherit everything at Belmont Manor when I go. 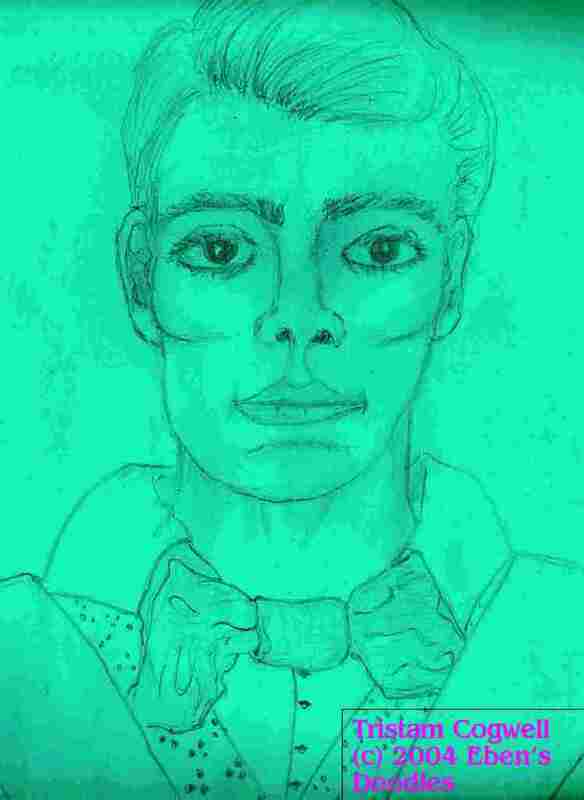 This is the answer to my secret prayers for Belinda, for until then I had no hope she would find a young man such as I perceive you are." Though beaten, Croesus Kingdom Trask sneaks back into the town square, and the first thing he does is to meanly break the tree’s ornaments with his cane while he sings of the revenge he is going to exact on the town for humiliating him. 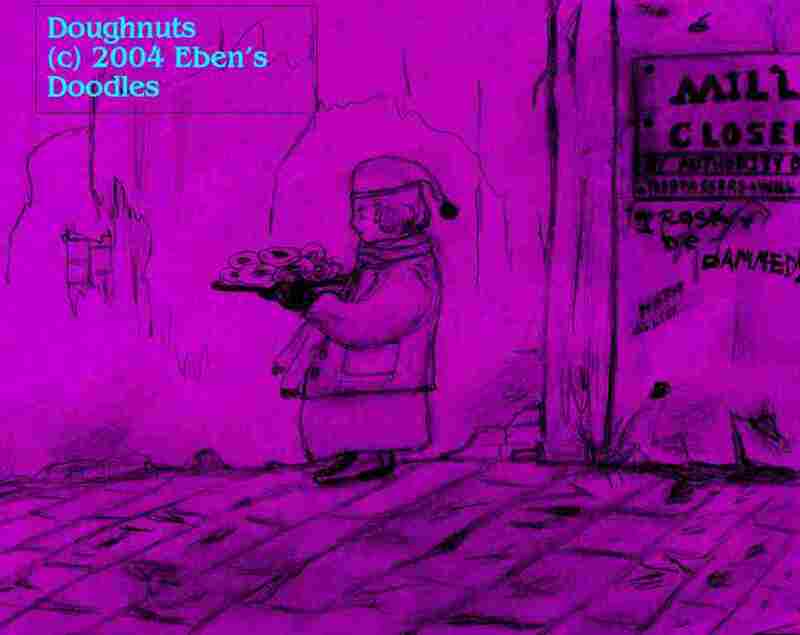 Emily comes tripping along with more doughnuts, and he scuttles off like a canal rat. The two young lovers pledge their love, while Trask listens just out of sight. He vows to ruin their bright prospects if he can. Gawain Cogwell rushes home to tell his wife there has been an explosion at the mill. Men are injured and much valuable machinery is ruined. They can’t possibly complete the Christmas orders. Mr. Belmont, most of his money invested in the mill, is also bankrupted. The chief magistrate acting as bailiff orders him to turn over all deeds and papers concerning his former ownership of the property and whatever else pertains to ownership of Belmont Manor, the ancestral Belmont estate. Belmont appears before the townspeople gathered in the square. He admits that he doesn’t have the money to repair the mill, and he cannot help them anymore. 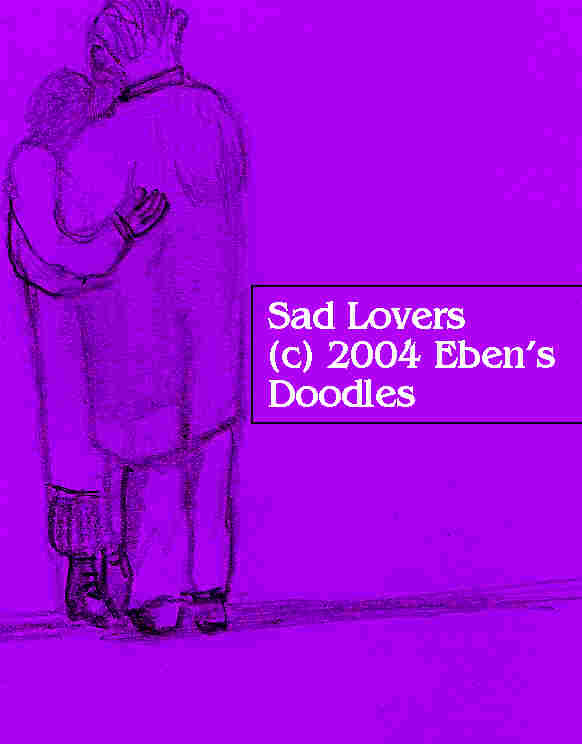 The two lovers are also crushed, for their wedding is called off. Trask is back as the town banker. He also buys the mill for a fraction of its former value, just to prevent anyone ever operating it again. 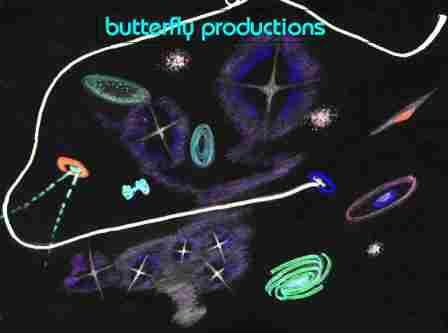 Everyone despairs, but Emily, who sings of the hole in the doughnut, which to her means that nothing can be made into something, if only you have a little bit of love mixed with faith. Nobody believes her reason for keep hope alive, and they all leave her standing in the square weeping. Emily remains in the square. She goes to the town nativity scene, and picks up the Christ Child, playing with him like a doll. Hearing the singing, Trask goes to investigate, and his hard heart at least melts. He goes home to his mansion, but Emily’s song and the sight of her holding the Christ Child haunt him. He decides to make amends for what he has done to the town and its people. He begins writing checks, paying the people the true value of their houses. 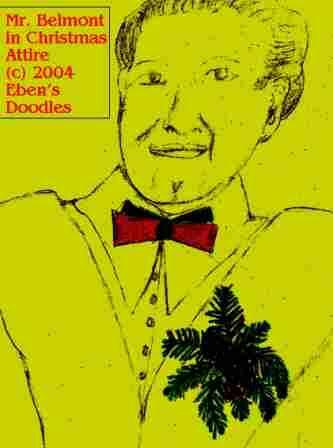 He even has to pawn his fine clothes to do it, but he manages to make it right with everyone he had defrauded with unfair interest, wrongful foreclosures, and many other ways he had used to take advantage of the townspeople over the years. Now with the means of this returned money they can pay off their mortgages and still have considerable money left over. Soon the town is redeemed, the people have pooled their money to buy and repair the mill, and Trask turns himself into the law, for he aims to confess to blowing up the mill. The court room is packed with people, for Croesus Trask is on trial. Men were seriously hurt, and much property was destroyed. 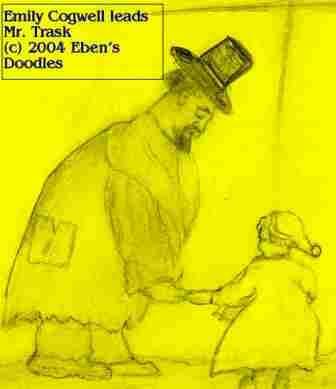 Trask could be sent to prison for a very long time, and he will no doubt die there, being an old man. 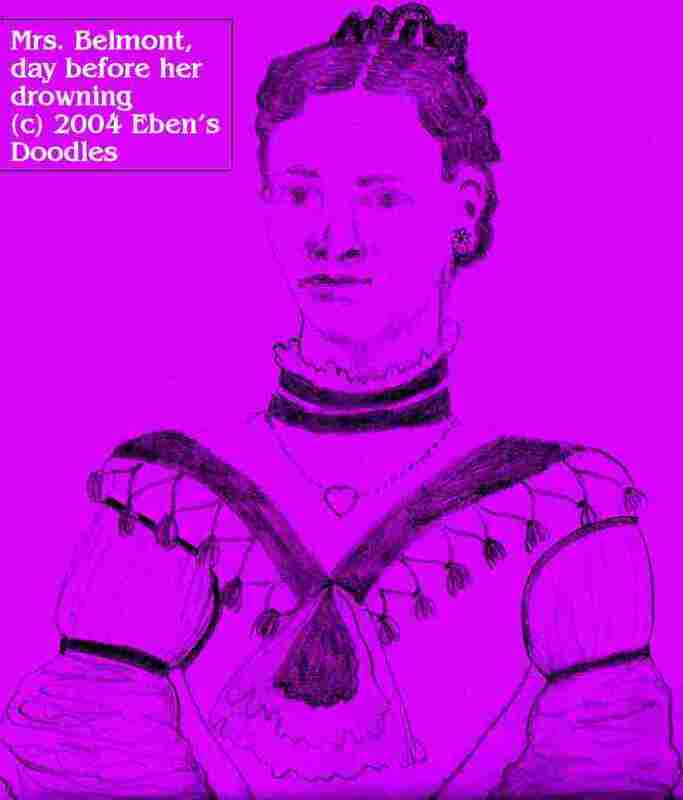 Emily, however, rises in his defense and tells the judge and the jury that they have the wrong man. He couldn’t have done so much wrong as was said, even though he may have said so in his testimony. “How can that be true?” the judge asks her. Emily has a ready answer. “Because he is no longer the same man. 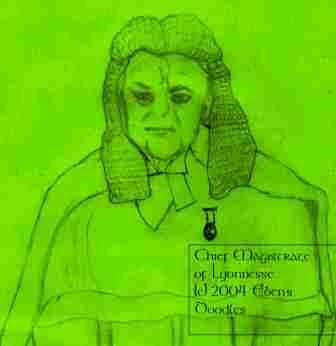 Just look at him, Your Honor!” Everyone turned and looked, and, beyond doubt, he was a changed man. He was weeping, and the banker had never before been seen to shed a single tear, nor have they ever before seen him in a poor man's clothes. And there was a kindness in his face others declared they had never seen before. And one by one people rose up to tell how the money he had returned to them had saved their houses, and then some. Emily turned in triumph to the judge, and he announced that the case was closed, the defendant was freed into the custody of Emily Cogwell. Everyone cheered as Emily took the trembling old man’s hand and led him from the court.